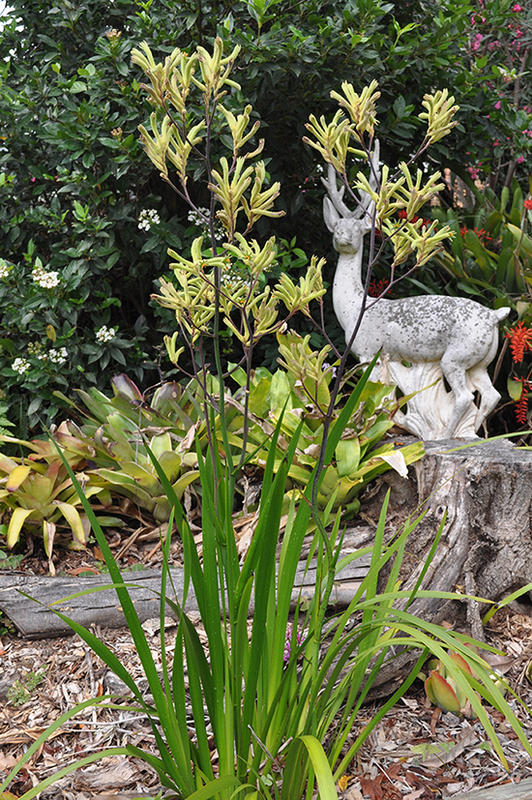 My kangaroo paw has established itself beautifully and is in full swing at the moment! So, here we are in 2014... a fresh start for some - a continuation for others... me, I probably fall somewhere in between. You may recall back here I was talking about 3 self-initiated projects... the first of which was changing my business name and branding in August last year... and as usual things always take longer than anticipated. It's all in place now and has been for a while but I haven't been shining the spotlight on the business much because during that phase of changing over the name I also took the opportunity to make some other changes. One of which was re-opening my Etsy store, which I never really used very much as a seller. I decided to stock this shop with the smaller items I make - in keeping with my business ethos of minimising waste, many of these items are made with fabric off-cuts. I was previously offering these items wholesale and was happy to have a number of stockists stocking them, however, there really wasn't much money in it for me considering how much work I put in to the products and not wanting to raise prices I decided to sell these items retail only. They will also be stocked in my website shop soon enough, but again, as retail only. The website shop is slowly being stocked with lots of creative goodness in the form of homewares and larger items which are available for wholesale and trade (with a wholesale / trade log-in area now - yay!). One of the 3 projects I didn't go in to detail over in the August 2013 post has actually been dismissed... it was going to be a studio build out the back of mum's house, in the garden but for various reasons I've decided that's no longer the direction I want to head in. The other of those 3 projects has been started but I will only share it once it's finished and I'm pretty sure it will be very well received... it's been in the planning for quite some time but just a matter of time getting to it... it's kind of a side project I'm working on when I have the time. A new plan though will mean some new textile designs - a slightly different direction... but that is a few months off yet until I can share the finished fabrics. The long term plan is for the fabrics to be the principal product of my business, though I envisage always making limited production homewares for those who don't sew and more importantly to show possible end-uses for the fabrics. In the meantime I'm working on some lovely new products from my current stock-pile of prints and am looking forward to bringing them to you over the coming weeks and months. I'm very excited for what lies ahead for Pinch River and its customers. I finally have such a clear vision of where I am wanting to take it and what I'm wanting to achieve, so stay on the road because it's heading somewhere really nice!